Get away from the crowds and explore the hidden corners of Rome. 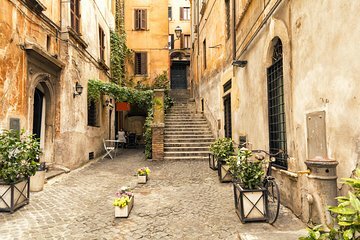 Enjoy a private walking tour through Trastevere for your small group. Discover this charming medieval neighborhood, wander through its labyrinthine streets, and explore the Villa Farnesina, one of Rome’s most extraordinary Renaissance buildings. Your professional guide attends to your group and answers all your questions.